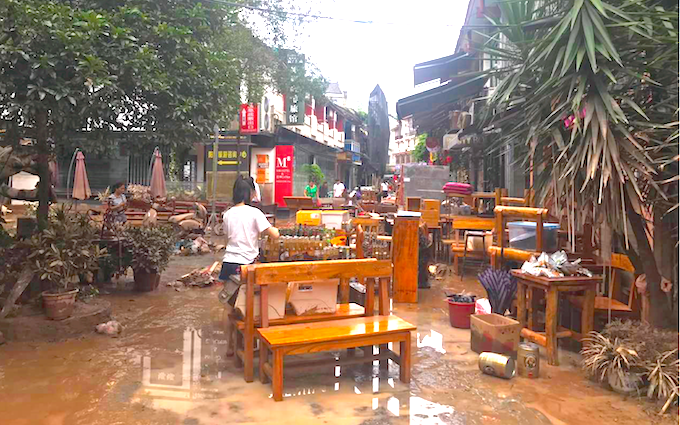 Floods that have swept through a tourism hotspot in China have been described as the most severe in 100 years. 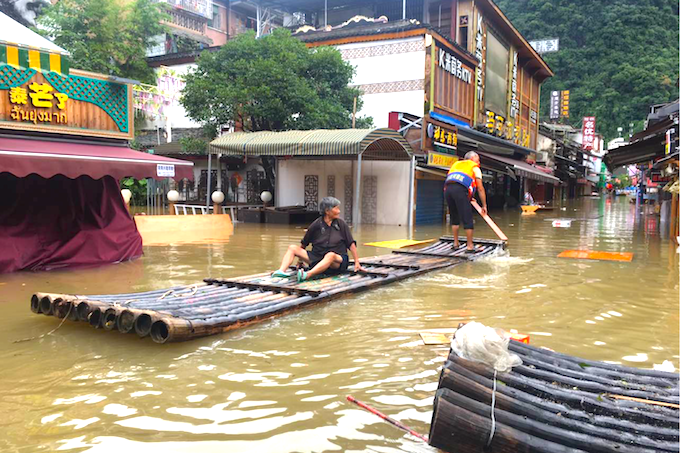 Yangshuo, which attracts millions of visitors per year, is currently suffering power shortages after the deluge hit. One person has been confirmed dead, and 140,000 properties have been damaged by the waters that began to rise yesterday (Monday, July 3) afternoon. Across the south of China, this week’s flooding events have affected more than one million people and led t at least 50 deaths. The Chinese government said it had disbursed $103m in emergency aid so far to help southern and central the provinces. 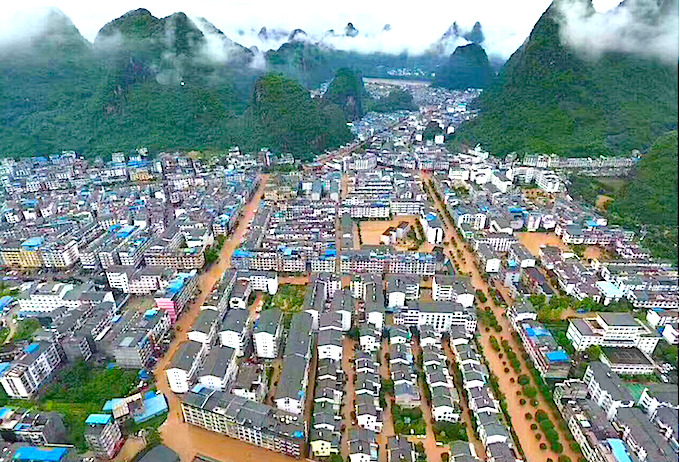 Over the last two days, the seasonal monsoon rainband, the meiyu-baiu front, has eased off in Hunan but reinvigorated in the southwestern province of Guangxi. The forecast for the next three days sees much reduced rainfall in the currently flooded areas, although another 100mm is still possible in Anhui. More worryingly, the area likely to receive heavy rain next, is in Sichuan province, in the area of a recent fatal mountainside collapse. Yangshuo, which is surrounded by towering ‘karst’ mountains, attracts millions of visitors every year. The dramatic landscape surrounding the town is featured on the reverse side of the 20 Yuan note and also appears in numerous movies and computer games.